1000D nylon strap ensures great safe performance for 2 dogs walking, which is chew proof and suitable for using for a long time. Zinc alloy hook is 4 times stronger than normal materials. That can let you direct your pets easily. Padded handle offers soft user experience in walking which can reduce the pain caused by control. Reflective line is good for night walking. Tangle free design ensures no limited exploration for 2 dogs and you don't need to worry about twisted leashes. 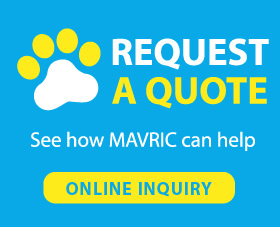 -Mavric, a professional pet products manufacturer, offers 2 dog leash. 1 year warranty is offered by us. If you have any question about pets or products, please feel free to contact with us. Summer is a good season for playing outside. If you want to have fun with your pet, you might need to choose a suitable game that will not hurt your pet in such a hot season. If your pet loves water, you can turn your backyard into a private water park for your pet. Grab a sprinkler and encourage your pet to play with it, which is a good way to play with your pet in summer. After having a lot of fun, you can get a cooling mat or bed for your pet to let him cool down on that. Our furry friends always try their best to make us happy. So this summer, let's find some good activities to play with your pets and make them happy too!